Immerse yourself in our healing mineral water at the El Morocco Inn & Day Spa! Use our pools from 9am until 4pm. Our large covered Jacuzzi-style spa is adjacent to the swimming pool and can be used before and after your spa treatments. Your visit is completely free with any 1-hour massage or body treatment! Included with your Day Spa visit is use of our 2 Far-Infrared Dry Saunas. These saunas offer a penetrating heat which moves throughout your entire body. This type of Sauna is unparalleled in its ability to promote a restorative, healthful and energizing experience. Combined with our healing mineral water pools, you will leave thoroughly relaxed. Our Day Spa guests are provided with use of a locker, pool towel and robe during their visit. We also offer complimentary coffee, tea and water as well as healthy snacks such as dried fruits and dates. Any of El Morocco’s spa treatments are available to enjoy. You can choose from our menu of treatments, our listed Day Spa packages, or create your own combination of treatments to make your day exactly what you need! To ensure availability, please make reservations for your Spa services in advance! Our Mystical Ritual is a two-hour head to toe luxury treatment. First, we start with dry brushing to stimulate the lymphatic and circulatory system and provide an exfoliation. Then we apply organic Rhassoul clay from the Atlas Mountains in Morocco. The clay is known for its high mineral content and its potent detoxifying properties. Afterwards, you will be wrapped to maximize relaxation and detoxification. While wrapped, your feet will be exfoliated and massaged. After a mineral rinse, the treatment continues with a full body Moroccan Rain massage using raindrop technique to apply 7 different essential oils along the spine, which all aid in detoxification. The treatment finishes with third eye work and a scalp treatment using our Rosemary Hair Oil. Total Body Bliss!!! Begin your visit by soaking in our healing mineral waters as you prepare for your transcendent experience. Follow one of our highly talented Spa Therapists to your private treatment studio where you’ll start with our Moroccan Clay Body Mask – we use organic Rhassoul clay brought to us from the base of the Atlas Mountains of Morocco- known for its abilities to detox and accelerate skin cell renewal. Next you’ll be treated to a one hour Deep Tissue Massage. Then drift off to sleep as you experience our Casablanca Scalp Massage treatment to complete your fantasy escape. Start your escape by soaking in our healing mineral waters. Enjoy an invigorating Moroccotini Scrub & Body Glow, followed by our relaxing and gentle Whirling Dervish Swedish Massage. Finish your treatment by a visit to our Far-Infrared Dry Sauna and then a dip in our mineral water pool. After soaking in our healing mineral waters, you will start your treatment by enjoying our relaxing Royal Foot Treatment. This is followed by our Casablanca Scalp Massage. We finish your treatment with our full body Moroccan Rain Massage, which includes the use of 7 essential oils along the spine to help detoxify as well as enhance energy flow. 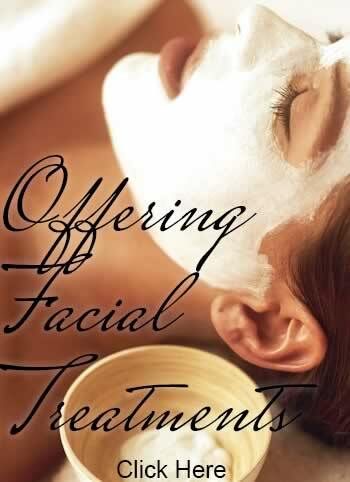 Your 2 hours of treatment will leave you feeling relaxed and rejuvenated! For a quick but thorough relaxation experience, enjoy our winning combination Marrakesh Massage (Swedish, Deep Tissue and Lomi Lomi) plus your choice of our half hour Casablanca Scalp or Royal Foot Treatment. Enjoy our warm mineral water pools before and after to top off your treatment. Enjoy our Casablanca Scalp Treatment and Royal Foot Scrub in one relaxing one-hour session!